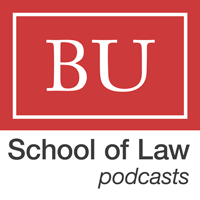 A lawyer who has spent 30 years representing inmates who sit on death row is our guest on this edition of the BU Law podcast. Host and media veteran, Dan Rea of WBZ-Radio 1030 welcomes Kenneth J. Rose, senior staff attorney at the Center for Death Penalty Litigation in North Carolina, to spotlight the Center and their work with death row inmates. Dan and Ken discuss the personal 10-year battle to save a mentally challenged farmhand, Bo Jones from execution, the 2009 Racial Justice Act, misrepresentation by attorneys and the great debate over the death penalty.